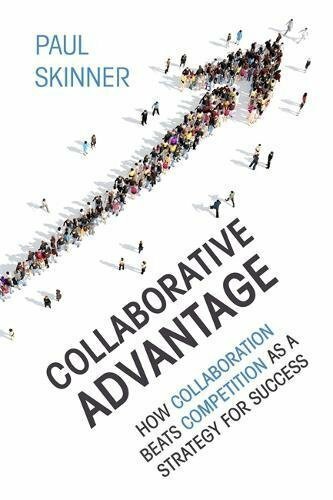 I recently attended a seminar on collaboration, which focused on how and why businesses collaborating with each other is a more effective success strategy than competing. This is something I’ve always bought into subconsciously. Those of us who network, especially within structured organisations such as BNI, are all constantly collaborating and working for the greater good of each other. This got me thinking on a wider scale about organisations who have the same goal but continuously work in isolation, especially organisations who are well established, as they see the others as competition. I understand it’s difficult to change the mindset within these organisations but, surely, it’s the way forward! What is the point of constantly battling with and putting down the competition? Apart from potentially weakening your position within your industry, by making you appear insecure about your own business proposition, I strongly believe that it’s more effective to work collaboratively, as this has to be more beneficial to the industry as a whole. All of us business owners need to know how to deal with competition, especially me! I had a recent experience at an exhibition, where I was attending with the Approved Franchise Association®. One of my competitors in my industry was also exhibiting at the show and, I’d already made up my mind I wasn’t going to like this person, as he is my competition and has already poached some of my potential franchisees! Well, that was my initial perception. This person approached me on the AFA® stand and was the nicest, most polite person you’d ever have the pleasure to meet. It just proves how the wrong perceptions can grow inside our minds and cloud our judgement. Now that I have met this competitor face-to-face, our working relationship has significantly improved and we are both eager to explore opportunities for collaboration, moving forward. So here’s to a future of collaboration, not competition, which I’m convinced has be a more useful strategy for everyone. Previous PostPrevious Sing with your bump, baby or toddler in tow!